Violent repression of Yemen’s protesters led to 24 deaths on Tuesday in Sanaa and Taizz. Demonstrations were put down near Sanaa university, and dissident Gen. Ali Mohsen Ahmar maintains that an assassination attempt was made on his life by members of the presidential guard. 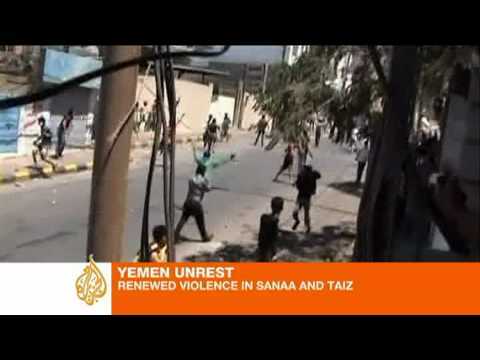 Aljazeera English reports on the renewed protests and violence.